Emmanuelle Cosse, Minister of Housing, concluded the evening with a speech that demonstrated the challenge of digital transformation for the building sector in France. 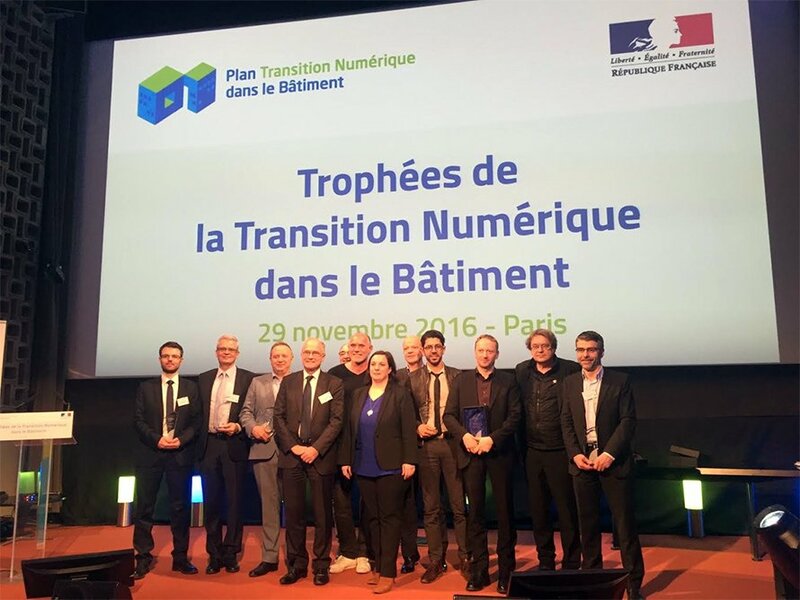 The ultimate objective of these trophies is to accelerate the adoption of BIM by the 73% of professionals who declared that they do not use the BIM in their projects. A desire to generalize this new way of working, whatever the profession and the size of the companies, led for 2 years the actions of the PTNB. 93 software publishers entered this contest. A jury composed of 12 people analyzed the files presented in order to retain 11 winners (with 2 winners ex aequo in a category). SCIA Engineer won the trophy in the "Structure and Civil Engineering" category. Structural engineering consultancies and engineering firms are the beneficiaries of the software solutions of this category. The jury rewarded the solution which, in the fields of calculation and drawing, offers the greatest possibilities of integration in a BIM collaborative process, taking into account all the technical aspects related to the structural design. Already present on the market for some time, this product has evolved according to the needs of the professionals and the integration of BIM.